And so, this week, we were told the season is in fact too long. Some are apparently sick of a relentless content cycle, others of the BBL’s lack of competitive context. But as fans and pundits began to lament the prolonged schedule this summer (up from 43 games to 59), it’s worth noting that we’ve heard many of the complaints before. That it’s dragging on, it’s tough to keep up with, it lacks a true combative nature, etc. But does that really matter? Many, like myself, enjoy it for what it is – entertainment. Like a favourite sitcom, you can pick up the BBL at any stage and feel instant familiarity. It’s cricket on TV, where the colours change and the result seldom matters. White (ball) noise, if you will. Should you miss a game, neat four-minute highlight packages will show you everything you missed. It’s cricket in easily consumable, snack form. It will never rival red ball cricket, but nor should it. One is a five-day battle with absorbing, historical narrative where subtle shifts in momentum intrigue and satisfy the palate of the purist. The other is three hours of chaos where your eyebrows could be singed off from a flamethrower on the boundary. But you’re still allowed to like both. The lack of real competitiveness in the BBL, another complaint that has surfaced, sits uneasily for some. It’s not a microwave-your-membership, storm-the-talkback sort of league where results govern moods. Most fans are more annoyed when the team batting first is rolled for sub-120 than if their team actually loses. It’s about big scores, skill execution and tight finishes. And also just being on. And that’s the whole point – it’s on every night. If you want to watch it, by all means. If you miss a game or two? Not a problem. By extending the season, Cricket Australia are killing the goose that laid the golden egg according to some. But that would suggest a significant downturn in crowds and ratings, which hasn’t occurred. Crowds are slightly down, but when you consider each team plays four more games than last season, it is natural that crowd number are slightly more spread. Also, CA has opted to play some games at new venues this season. Perhaps most importantly, the extended season – like it or lump it – is here to stay. 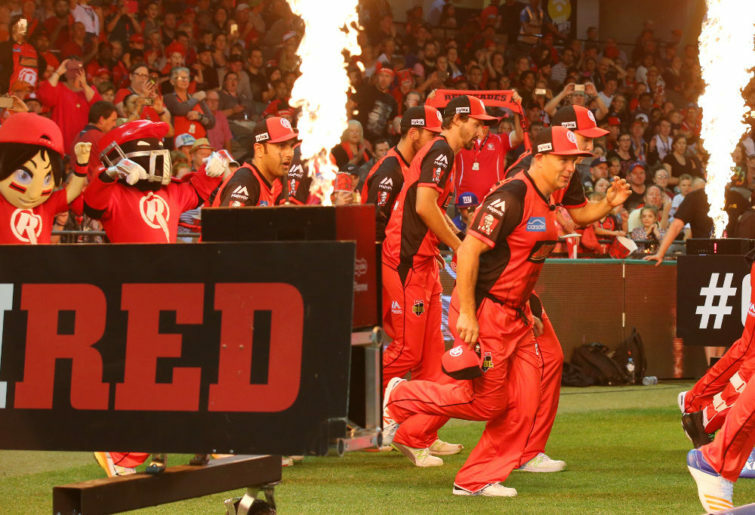 In April last year, Cricket Australia signed a TV deal that ensured the next six summers would include a 59-game BBL season where each team would play each other twice. The extra 16 BBL games this season and beyond are all being shown exclusively on Foxtel (with the other 43 live and free on Seven), which was a key incentive to lure the pay TV provider during rights negotiations. So with another five seasons of TV money locked away, calls to condense the schedule will fall on deaf ears. Games won’t be reduced, and the current window almost certainly won’t be shifted either. This of course ignores the issue of the extended Big Bash’s two month stranglehold on the summer, and how that impacts on red ball performance. That, as opposed to those who are slightly bored by a lengthier season, is a legitimate issue that needs addressing. Matthew Renshaw goes into today’s warm-up game against Sri Lanka having last faced a red ball on December 10. This is something that needs urgent attending to, with a viable solution sought for next summer. Even CA would agree some sort of balance needs to be found.